With David Moyes set to celebrate his 500th game in charge of the Blues on Saturday, we continue our review of his time in charge of Everton. Part 3 of our review looks at the team Moyes has developed since the disappointment of the Cup Final defeat to Chelsea in 2009. The defeat to Chelsea in the 2009 Cup Final hit Everton hard. The fantastic run to Wembley, which included victories over Liverpool, Aston Villa, Middlesbrough and Manchester United, had captivated Evertonians and the buzz around Goodison was talk of trophies and regular European football. However, the impact of defeat in such a high-profile fixture should not be underestimated. The confidence and belief of some key players drained away that day at Wembley and an acceptance from the squad and maybe for a short time, the management team aswell, that this Everton team were destined to be also rans in the race for England’s top honours. Joleon Lescott, not only an integral cog at the centre of defence, but also in the dressing room decided that his career would advance quicker at Manchester City. Steven Pienaar followed him out the door 18 months later, for a taste of Champions League football at Tottenham and Mikel Arteta choose Arsenal as a route back to top-level football. Other crucial players were on the wane. Tim Cahill suddenly found goals difficult to come by. Yakubu never fully recovered from his horrific achilles injury and Vaughan, Gosling and Rodwell all failed to live up to early promise, before moving on to pastures new. Good players did arrive, but the windfall from the sale of Lescott was not initially well spent. Distin and Heitinga arrived, and both provided defensive solidarity that kept Everton in the top half of the Premier League. Bilyaletdinov arrived from Russia with comparisons of Kevin Sheedy. In truth, he was miles apart, although he did score several spectacular goals. With money scarce, Moyes took a gamble of League One striker Jermaine Beckford, who arrived from Leeds United. Beckford had scored goals galore for Leeds, but immediately looked out of his depth in the Premier League and departed after just one season with the Blues. And in a last gasp attempt to turn around the fortunes of the team Moyes brought in Drenthe from Real Madrid on loan, only for the Dutchman to cause as many problems as the previous Dutch winger to wear Everton blue, Andy van der Meyde. The turning point for Everton, arrived in January 2012. With the team languishing in the bottom half of the league and attendances plummeting, Moyes decided to cut his losses on Bilyaletdinov and re-invest the money. Darren Gibson arrived from Manchester United, Landon Donovan came in on loan from the LA Galaxy and then on the final day of the transfer window Moyes worked his magic to bring in Jelavic from Rangers and re-signed Pienaar from Tottenham. From that day forward, Everton were transformed. Not only did results improve, Everton were now playing with style and panache, unseen since the late 80’s. The impact of the new signings was almost instantaneous, Everton rocketed up the league and looked set for another Cup final, only to choke at the Semi Final stage. Everton had gone into an early lead through the brilliant Jelavic, but failed to capitalise and sat back and let Merseyside rivals Liverpool back into the game and suffered the disappointment of a last-minute defeat. 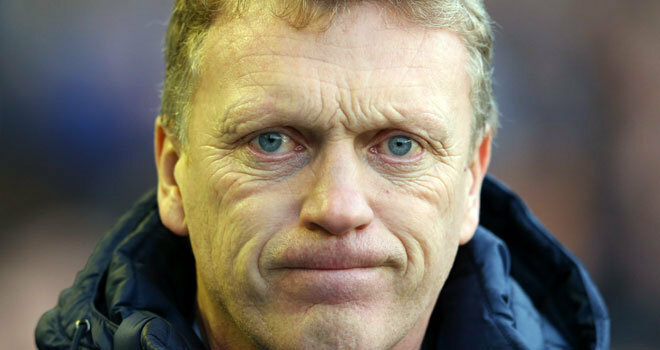 Moyes, downhearted but not defeated spent the summer continuing to build the team. Howard, with over 300 appearances, is still between the sticks, Seamus Coleman has taken over as first choice right back and has added an attacking impetus from the right hand side, Leighton Baines is now unquestionably the best left back in the Premier League and slowly cementing a spot in the national team. Jagielka and Distin complete the back four, with Heitinga, Oviedo and Hibbert able deputies across the defence. Gibson, proving to be a genuine bargain, and is first choice in the midfield alongside Leon Osman. Steven Pienaar completed his return from Spurs in the Summer and continues to combine with Baines on the left. Kevin Mirallas, signed from Olympiakos has brought speed and skill to the Everton team and is unique in what he offers. Fellaini has become one of the outstanding players in the Premier League and attracts a valuation in the region of £30 million and has made the role just behind the striker his own. Nikica Jelavic has been a revelation, scoring goals on a regular basis to bring a real goals threat to the Blues attack. Victor Anichebe is starting to fulfill his massive potential and is an able deputy in a number of positions. Phil Neville continues to lead the team and his experience is invaluable to the squad as a whole. The rebuilding of the team has left expectations at an all time high and with the Everton well placed in the Premier League table, talk of European football and Cup glory are once again realistic aspirations for David Moyes and his Everton team.